Mustad No-Snow Pads are uniquely designed with a cushioned tube that compresses and expands to push snow out of the sole. Mustad No-Snow Pads are a great choice for preventing mud accumulation and can often be reset. The pads can be riveted at the heels and are durable enough to withstand a full shoeing cycle without tearing. 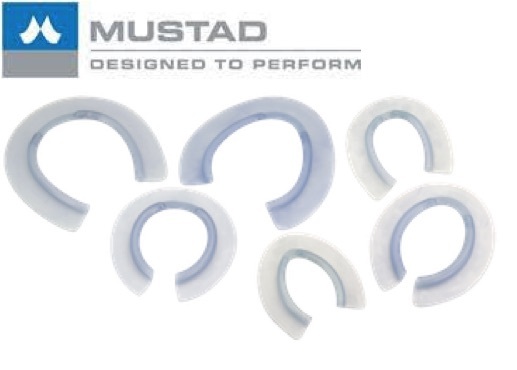 Mustad horseshoe studs come in a variety of styles to meet the grip requirements of all disciplines and environments. Designed by farriers in conjunction with competition riders, Mustad horseshoe studs offer performance, choice and durability at low prices. 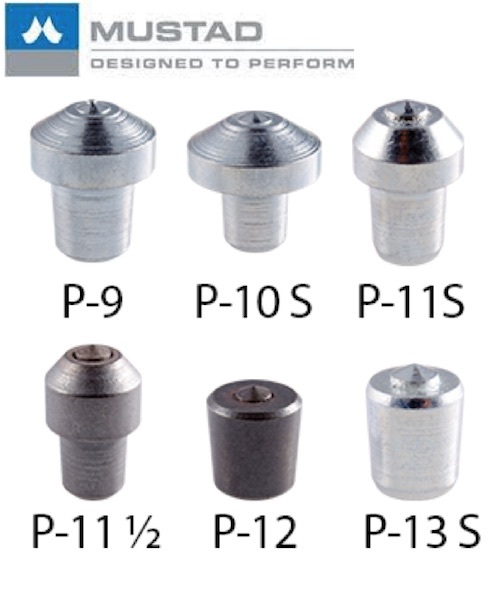 Mustad horseshoe studs are specially hardened during the manufacturing process to make the threads stronger. When your customers and their horses demand superior traction, it's time for a new path. 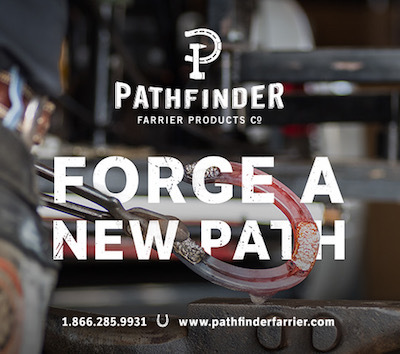 At Pathfinder Farrier Products Co.®, we work very hard to honor your craft with the best possible products, from incredibly consistent composite rods to tube metal and flux. Every style and size you need for safe winter riding. All manufactured in polyurethane material. Small 6-1/4" x 5-5/8" x 1/8"
Large 7-3/8" x 6-7/8" x 1/8"
6 7/8" x 6" x 1/8"
TRUE-FLITE pads are guaranteed not to crack in the coldest winter temperatures! 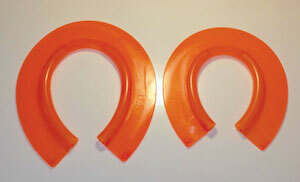 TRUE-FLITE hoof pads are consistent, reliable and economical. Consistent — we use a specific formulation of urethane resin to produce TRUE-FLITE every time! Reliable — TRUE-FLITE pads remain flexible under extremes of temperature. They won’t crack in the coldest of winter weather nor will they “squish” at the heels during the hottest heat wave! 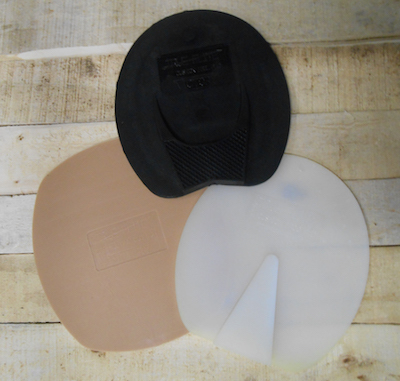 Economical — TRUE-FLITE pads eliminate service call-backs and are competitively priced! TRUE-FLITE pads have set the industry standard since 1968 and are available in a multitude of styles, shapes, thicknesses and colors.